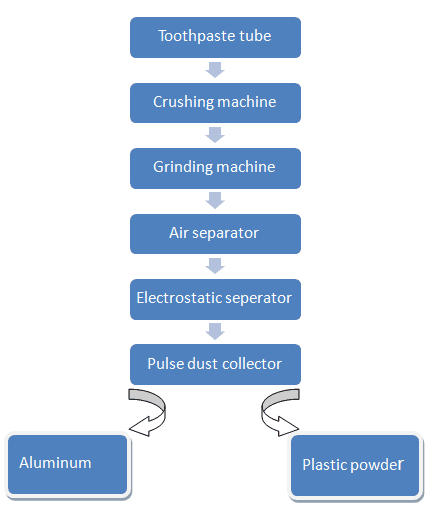 How to processed aluminum by aluminum recycling machinery? Aluminum plastic recycling machinery for aluminium plate is put medicine for aluminium plate in the electric heating in the separator, the heat generated by the machine to make plastic, soft expansion in the device internal friction each other collision, divorced formation on the surface of aluminum from plastic aluminum crumb.Because plastic remains the same size, so with sizing screen separates aluminum and large pieces of plastic.Plastic need to purify the residual aluminum powder, and clean.In the aluminum will be a part of the plastic, after smashing into the electrostatic separator separated into aluminum and plastic.Aluminum and plastic have losses. Electrostatic separator separation plate after coarse crushing, fine grinding into aluminum and plastic mixture, using the principle of electrostatic separator separation of aluminum and plastic.Aluminum and plastic yield loss is very low, the recovery rate of close to 100%. Prev:What process is used to recycle aluminum plate? 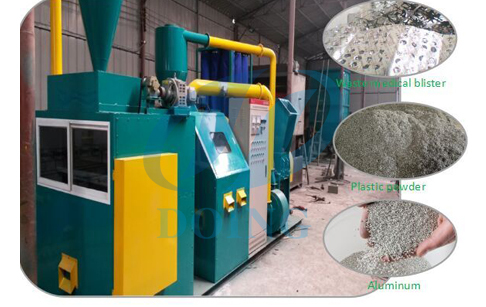 If you wanna to get more details about How to processed aluminum by aluminum recycling machinery? you can send E-mail to market@doinggroup.com. You can consult our professional engineer and specialized sales team with leave a message in below form.We will contact with you ASAP.You also can visit our factory in Henan,China.Get Detailed address.